As the year winds down I cannot but reflect not just on the past year but on the past 19 years. 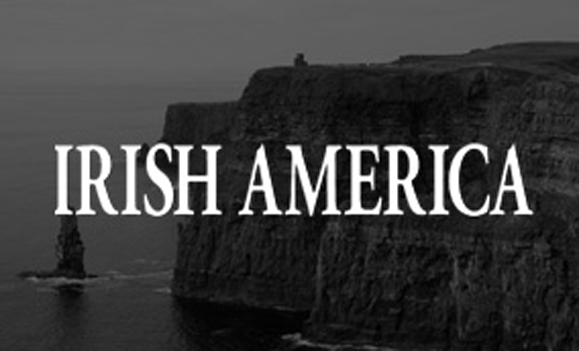 It’s hard to believe, but the coming year marks Irish America’s 19th year in existence. It’s been a fascinating journey into the landscape of Irish America, which often proved to be unexplored territory. Looking back at our first issue, I see the foundations of what the future was to hold. Our top story was on the MacBride Principles, the most important Irish American initiative of the time. The Principles, named for Irish statesman Sean MacBride, sought to link American investment in the North of Ireland to non-discrimination in the workplace, and were often compared to the Sullivan Principles which operated for U.S. firms doing business in South Africa. As our story in this issue on the election results shows, “peace comes dropping slow” in Northern Ireland. The fact that Ian Paisley’s anti-Good Friday Agreement party won the majority unionist vote brings with it fears for the future of the Agreement and the Northern Ireland Assembly. But there is comfort in looking over our past issues and reading the many stories on Northern Ireland. It’s proof that though progress has at times been slow, significant gains have been made and seemingly insurmountable problems have been overcome. While the DUP’s refusal to deal with Sinn Féin may cause tremors, the elections themselves are proof that democracy is at work. There was a time in Northern Ireland’s not too distant past when voting rights were tied to property ownership, thus discriminating against the majority of Catholics. The election results also mark the evolution of Sinn Féin into a major political power that has gained the majority nationalist vote in Northern Ireland. The party also made significant gains in the Republic of Ireland’s elections last year, making it the only all-Ireland party. While coverage of Northern Ireland has always been of paramount importance to Irish America, so too have our interviews with leading Irish-Americans. Our conversation with Ray Kelly, America’s top cop, follows on a long list of significant interviews, including some greats who have now passed on such as Speaker of the House Tip O’Neill and Supreme Court Justice William Brennan, both powerhouses of their day, and our interview with screen legend Gregory Peck, who we lost in 2003. In our very first issue we included a profile of then U.S. Ambassador to Ireland, Margaret Shaughnessy Heckler, and in this issue we feature our new ambassador, James Kenny, an Irish-American from Chicago (pg. 28). Our first issue also included an interview with Dan Tully, then head of Merrill Lynch, the largest brokerage firm in the world, who recalled his Donegal-born father telling him to “make something of yourself.” Over the years our coverage of Irish-Americans who have found success in the corporate world has expanded to include an annual Business 100 issue. And we are pleased to report that many of our honorees have become involved in Ireland, whether by serving on the board of the American Ireland Fund, or the Taoiseach’s Advisory Board, or in the case of Chuck Feeney and Bill Flynn, playing an important role in the peace process in Northern Ireland. Our Business 100 lunches have also evolved. At our 2003 New York and San Francisco lunches Irish America publisher Niall O’Dowd was praised for his own role in the peace process, and the magazine was credited with creating a unique forum which provides our honorees with the opportunity to forge bonds of friendship and establish business relations. In some cases these relationships help the community. CBS Vice President Dennis Swanson, our Keynote speaker in San Francisco, who serves on the board of The Fallen Heroes Fund, mentioned that with little persuasion he had recruited a major player from our Business 100 for the Fund, which helps families of military personnel who have given their lives in the current operations in Iraq and Afghanistan. We couldn’t have had a better Christmas present than to feel part of something so great. (To find out more about the Fallen Heroes Fund call 800-340-HERO).